Day Two of the Boulder International Film Festival found me sitting in a pew at the back of the United Methodist Church watching a beautiful Polish film about a Catholic novitiate who discovers she’s Jewish. I wonder if the primarily older, Jewish crowd picked up on the irony of all this cross-culture mixing? 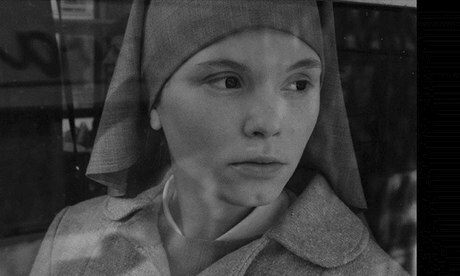 Ida, directed and co-written by Pawel Pawlikowski, is set in 1960’s Poland and each shot is masterful crafted. Opening with a montage of black and white images of a young girl feeding chickens, the shot is tightly framed on just her legs and plain skirt with chickens milling about. There is great depth to the composition and in one sttic camera shot, the cinematographers, Ryszard Lenczewski and Lukasz Zal, place the audience in this quiet convent and immediately establish it’s simple routine. The simplicity and quiet of this monastatic life is later contrasted with the busier pace of life in the town when Ida takes her train ride to meet her aunt. We see her view from the moving train as people bustle along the street and when the focus returns to Agata Trzebuchowska’s eyes, it’s clear that this is a big change and maybe, not a welcome one. The actress has wide eyes that seem to have no pupils and with the stillness of her face and the tentative smiles, she expresses a great depth of feeling. She’s off to visit her Aunt, played by another Agata; Agata Kulesza, in a full-throttle performance of a woman drowning her sorrows in booze and one-night stands. Together, the two women, one young, fresh and sheltered…the other tarnished by a brutal life, go in search for the truth behind their family’s tragic past. The film is sad, moving, timeless but also life-affirming. The soundtrack is beautiful and the cinematography and performances are mesmerizing. Ida is a film worth seeking out! 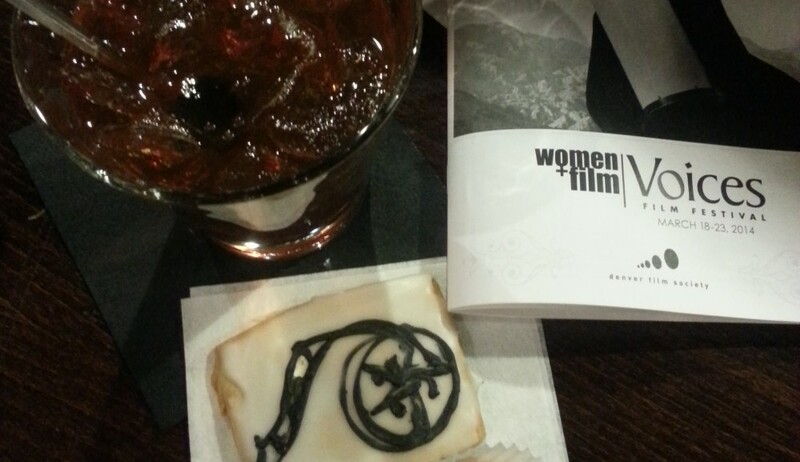 A wonderful review — Ida won Best Film at the London Film Festival! This entry was posted in Uncategorized and tagged Ida, Pawel Pawlikowski, Summer of Love by Jill. Bookmark the permalink.